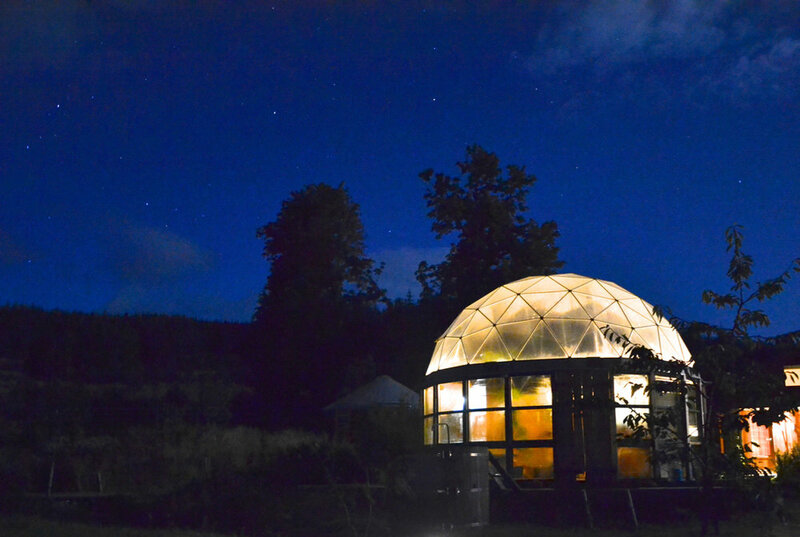 Off-grid and awesome, this retreat is a real game-changer. 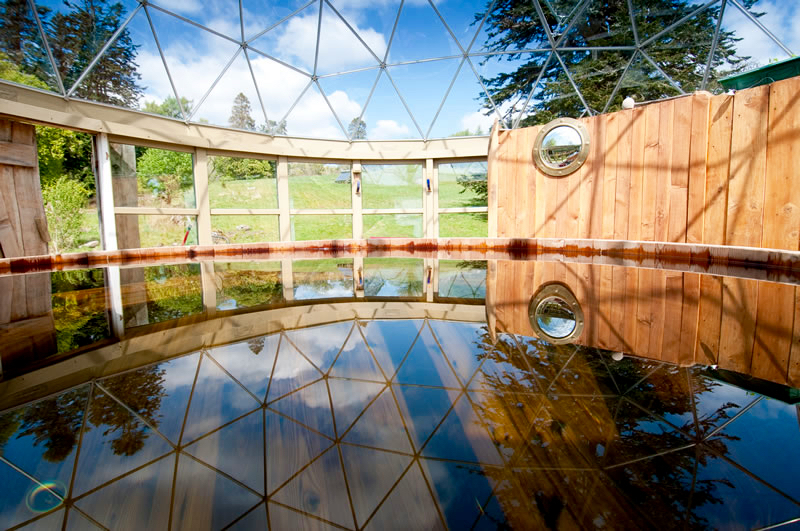 Set in the splendour of the Scottish Highlands, with everything you could want for a perfect yoga holiday: private riverside hot baths, sento dome hot tub, sauna, underfloor-heated waterfall view yoga studio, Jim's peerless teaching and a vegetarian chef to knock your socks off. 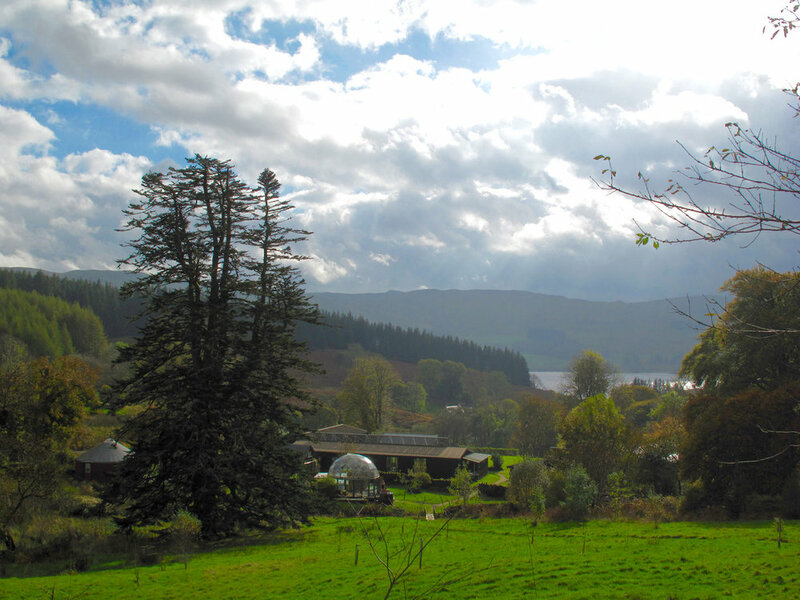 “4 nights of delicious nutritious vegetarian/ vegan food, yoga with a top class teacher and hobbit-like surroundings in the Scottish hills. 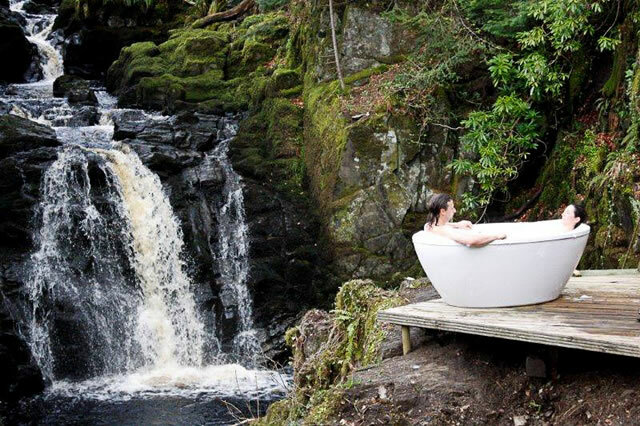 Outdoor bathing in the mist and rain with boiling hot water powered by off-grid hydroelectric!" 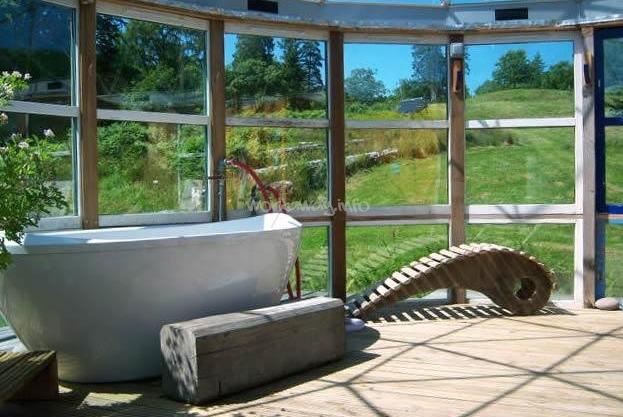 In the fabulous yoga studio that overlooks the waterfall, you will be guided through two wonderful daily classes; a mix of asana, pranayama, detailed workshop instruction, partner work, mantra, meditation and restorative work. 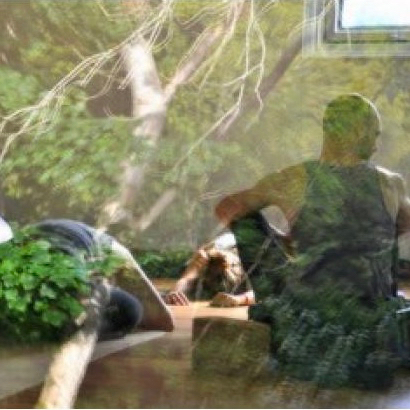 Jim's classes are a potent celebration of life - a joyful, deep yet gentle exploration of body, breath and mind, where laughter, joy, love, connection and gratitude are all key elements. Arrival day. 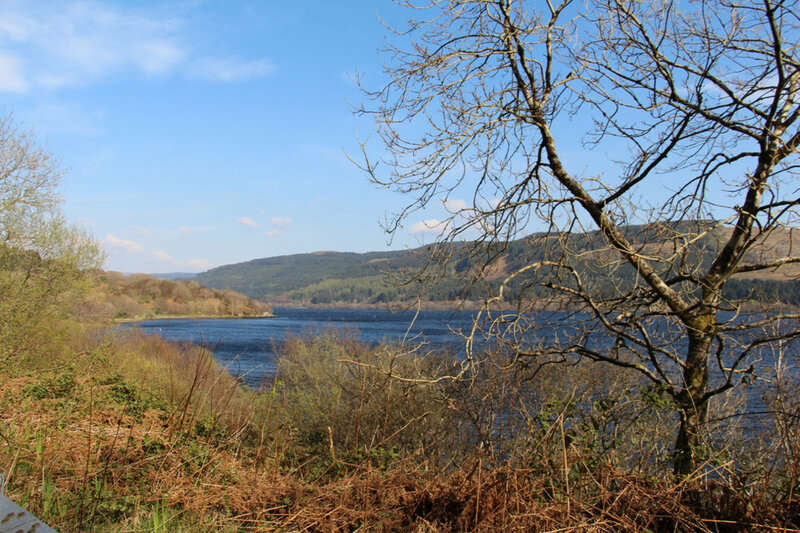 Those travelling on the group coach transfer from Glasgow will arrive at the retreat centre about 5pm. Those making their own way can arrive and check into their rooms from 2pm. Departure day. Breakfast/brunch will be available from 9am and the all the facilities are available for your use all day. The group coach will leave EcoYoga at 11am. Otherwise check out from your room is by midday. There are 16 places available at this destination, but numbers will vary.